A workplace change affects many people: your workers, your colleagues, company executives, customers, competitors and others. How will each group be affected? Can you strengthen your plan if you become aware of your potential detractors’ needs? For nearly 20 years, I worked in an environment where decisions were hard to come by. Administrators needed to be sure that no one would oppose a project before it was approved. 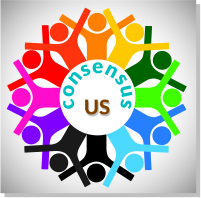 So, I had to learn the process of gaining consensus. When I had gained complete consensus that my project was the right thing, that no one would be put out by my project, and that there would be no losers, only winners, then nothing would stand in my path. This was an environment where I had some of the biggest wins of my career. It was an environment where I learned the power of CONSENSUS. It is a rigorous but very important process that builds the circle of winners and almost guarantees success for your project. When is criticism a good thing? When it helps you build CONSENSUS. When you modify the plan to deliver benefits to all constituents, and they see your efforts to give them what they need, they will become your energetic supporters. Read my book, Workplace Champion By Example, and see other simple strategies for winning at work.